Fitch Ratings has upgraded Ferrexpo Plc's Long-Term Issuer Default Rating (IDR) to 'B-' from 'CCC,' reads a report on the rating agency's website. "The outlook is stable. Ferrexpo Finance Plc's senior unsecured rating was upgraded to 'B-' from 'CCC'. The Recovery Rating on the senior unsecured rating is 'RR4'. Ferrexpo's Short-term IDR was upgraded to 'B' from 'C'," according to the posting. "The upgrade reflects Ferrexpo's improved liquidity as of December 2016 ($145 million cash versus $35 million in 2015, of which $19 million is restricted by Fitch) and strong free cash generation due to higher-than-expected iron ore prices in 2016 and high pellet premiums. Based on Fitch iron ore price deck, we expect Ferrexpo to be able to cover $528 million of debt maturing over 2017 and 2018 from a $126 million cash balance and $463 million in free cash flow generation," Fitch experts said. "Deleveraging On Track: Ferrexpo paid the final installment of its $420 million pre-export financing (PXF) from internally generated cash flow in 2016. The company still has $263 million of PXF outstanding, which started amortizing in November 2016 with eight quarterly payments of $43.8 million. We assume that Ferrexpo will be able to fund these maturities from internal cash flow," they stated. "The group's other significant debt instrument is a $346 million eurobond that matures in two equal instalments in April 2018 and April 2019. We believe Ferrexpo will be able to fund the first installment of $173.2 million from cash flow, acknowledging the difficulties that could arise from iron ore price volatility," according to the document. 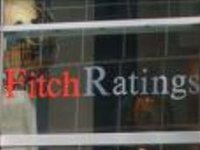 "Eurobond Refinancing Possible: Fitch also believes that management will take additional steps for the refinancing of a portion of its bond maturity. We view the execution risk as moderate, taking into account the company's deleveraging profile and the recent evidence of a recovery in activity in Ukraine from international banks and capital markets," it reads. "Competitive Cost Producer: Ferrexpo's operating cost position sits within the first quartile of the global pellets cost curve. In 2016, cash costs improved significantly compared with the previous two years, mainly due to currency depreciation (50% of operating costs are linked to the hryvnia) and lower energy prices. These positive dynamics plus operating efficiency gains resulted in a 10% decrease year-on-year, reaching $29 per tonne," the report says. "This is however 13% higher than H1, 2016 cash cost of $25.7/tonne, reflecting the increasing energy costs linked to oil price in H2, 2016 and Ukraine's inflation. Energy costs now represent around 40% to 50% of total costs, and combined with inflation should contribute to further cost increases in 2017. Under our current energy price assumptions, we expect the cash cost to remain between $33/tonne and $34/tonne in the medium term, still within the first quartile," the statement says. "Ukrainian risk exposure: Ferrexpo's operating base is in Ukraine. In the past two to three years the country has experienced high inflation, significant currency depreciation (85% in 2015 against the dollar more than 125% since 2014), and some delays in VAT repayment by the state. The military conflict in the Donbas region has not had a direct impact on Ferrexpo's because its operations are based in Poltava region, about 425 km north of Donetsk," reads the report. "Continuing profitability: Fitch expects that cash costs improvements, together with the pellet premium received over the benchmark 62% iron ore price will help Ferrexpo to maintain profitability at high levels in 2016-2017. We forecast its EBITDA margin to range between 35% and 40% (H1, 2016 some 35%), before declining below 30% in 2018 due to a drop in prices linked to new supply entering the market. We expect Ferrexpo's funds from operations- (FFO) adjusted gross leverage to decline to 2x at the end of 2016 (3.4x in 2015) and to around 1.0x in 2017 in line with our expectations of an EBITDA improvement that results from the recovery in iron ore prices and debt reduction," the rating agency experts stated. "Pellet premium recovers: prices for 62% iron ore averaged $59/tonne in 2016, down 40% since 2014, as demand from the Chinese steel industry slowed. However, prices and premiums have increased significantly since October 2016, reaching $81/tonne in January 2017 and $45/tonne for the Platts Atlantic Pellet Premium received over the 62% benchmark. Fitch expects the demand for premium quality pellets to remain sound. We also expect premium pellet supply to be limited in the next couple of years due to the disrupted supply from Samarco, the biggest premium pellet producer, and the high capital cost of new pellet plants," the report says. "Long-term contracts: Ferrexpo compares favorably with its competitors in the premium pellet market. It has long-term contracts with European and North East Asian producers, which secure the company with more predictable cash flows than its peers operating in the spot market," it reads. "Ferrexpo's weaker competitive position in terms of scale and size of mining operations vs. major global peers such as Vale (BBB/Negative) and Fortescue (BB+/Stable), is offset by its positioning within the first quartile of the global pellets cost curve and its access to the pellet premium market due to the high quality of its pellets. Its weaker financial profile compared to its peers is due to its exposure to Ukraine and the resulting difficult access to debt markets, despite clear signs of improvements since H2, 2016. No country-ceiling, parent/subsidiary or operating environment aspects has an impact on the rating," it states. "The key assumptions are: Fitch iron ore price deck: $60/tonne in 2017 (including the actual price in January and February 2017), $45/tonne in 2018 and 2019; Fitch forecasts the Platts Atlantic Pellet Premium to remain around $40/tonne in 2017 supported by stopped production at Samarco and by demand from steel producers trying to replace expensive coking coal by cheaper premium pellets and to decline to around $30 in 2018 and 2019 when Samarco's volumes come back to the market; production volumes of 11.6 million tonnes iron ore pellets per year in 2017-2019; under Fitch iron ore price assumptions Fitch assumes $50million capex in 2017 and $65 million in 2018-2019," the experts said. "Future developments that may, individually or collectively, lead to positive rating action: strengthening of Ferrexpo's liquidity position due to new sources of financing, a sustainable renegotiated debt maturity profile or higher than expected iron ore prices and/or pellet premiums. Future developments that may, individually or collectively, lead to negative rating action: material shortfall in liquidity due to pellet premiums or iron ore prices falling beyond our assumptions without access to alternative sources of liquidity," the report reads. "Sufficient for debt servicing: at end December 2016, the company's reported cash balance was $145 million (of which Fitch restricts $19 million to maintain the minimum level of operations) against $201 million short-term debt, and $46 million coupon/interest. The short-term debt is composed of $175 million of quarterly PXF installments and $26 million of other debt. We forecast that the company will generate approximately $300 million of FCF over the next 12 months (post interest/coupon). This should be enough to service the company's debt, working capital and capital expenditures in 2017, but leaving it exposed to further fluctuations in iron ore prices, currency and energy costs," the experts said.